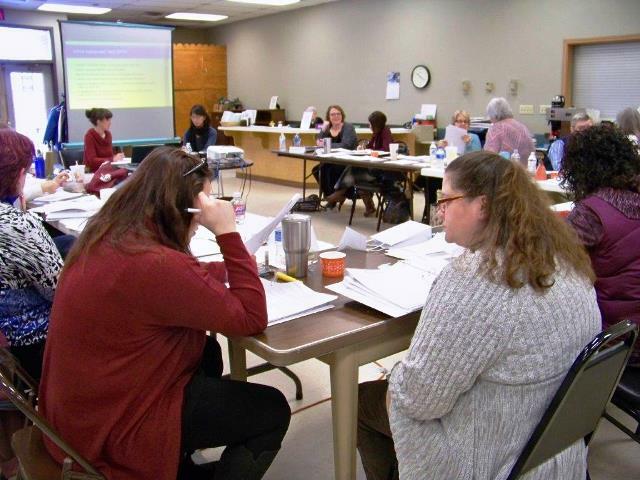 CLEARFIELD – A two-day Enhance Wellness training was held at the Clearfield County Area Agency on Aging Inc. Guests were attending from the Lutheran Settlement House in Philadelphia, the Centre County AAA and several staff members from the Clearfield County AAA. Presenters, Meghan Thompson and Glen Felias-Christensen of Seattle, Wash., shared a free, award-winning program that connects participants with a personal health and wellness coach (usually a nurse or social worker) to improve physical and emotional well-being and social-activity. Enhance Wellness is designed for community-dwelling older adults with chronic conditions who want to improve or preserve their health and functioning. Enhance Wellness is geared towards the general community, as well as individuals with chronic health conditions, such as arthritis, high blood pressure and diabetes. Enhance Wellness has been recognized as a groundbreaking program in preventive health winning several local, national and international awards. For more information on upcoming programs, please contact the CCAAA at 814-765-2696.